At the Wearable Technology Show (WTS) in Santa Clara, I didn’t expect to cry. But as I sat in a darkened auditorium, watching a video about the trials, tribulations, and successes of Team USA at the Rio Olympics, I felt a surge of teary-eyed pride and awe — and excitement. In total, the United States came home from Rio with 121 medals, 46 of which were gold. The second-highest count went to Great Britain: 67 medals, 27 gold. The US dominated. 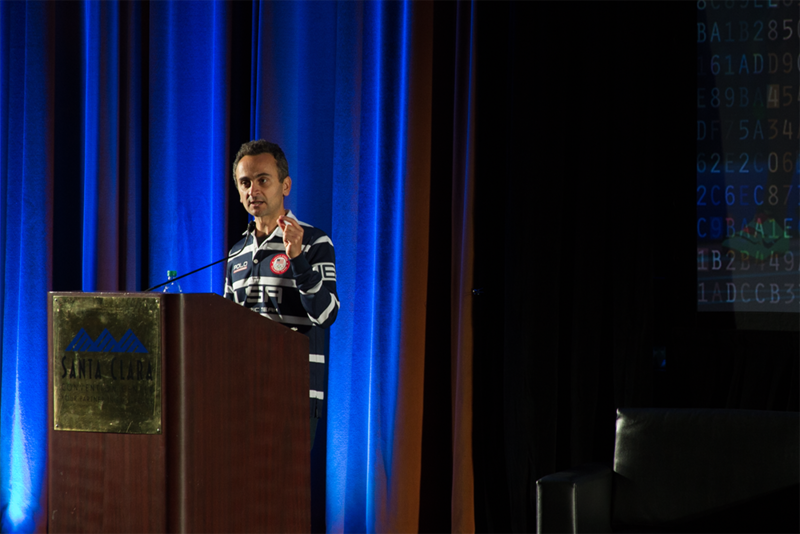 And according to Mounir Zok, Director of Technology and Innovation for the US Olympic Committee (USOC), our athletes were successful because they had reached peak athletic performance. They trained smarter, rested more efficiently, and perform better than the competition. And for many athletes, wearable technology gave them the winning edge. Here’s how Team USA uses emerging technologies to get the gold — and what the future holds for super-athletes. “My role is to ensure athletes have what they need to give them a 1% competitive edge,” Zok told me. His day-to-day involves working with coaches and athletes, finding ways to optimize athletic performance using innovative technology. Wearable technology has introduced new paradigms in sports and coaching. But the early days of tech-enhanced training were less than inspiring. In the early 2000s, attaching a GPS unit to an Olympic runner’s body was neither easy nor comfortable. Zok shared a story from 2003 in Rome, when an engineer had to run next to an athlete with his laptop so he could catch the signals from her wearable device. From 2008 to 2012, very little happened among sports wearables. “Then, magically, between 2012 and today, there have been so many great, well-established companies that are looking at sports today,” Zok said. Those same companies are creating small, lightweight wearables that can track performance without interrupting training. The results, based on Team USA’s gold medal count, are clear. Hykso is one example. The boxing sensor — which measures punch speed, count, and type, among other factors — was used by the US Olympic boxing team to help boxers gain insights about their training and fatigue. But one group of people may benefit the most from technology in sports: the coaching staff. From hard data to progression charts, wearable technology provides the numbers that allow coaches to clearly understand if their future Olympians are moving toward the 1% competitive edge. While boxing coaches may be able to sense when their athlete is overtrained, data from a device like Hykso provides the proof. Wearable technology offers many data points, but so what? “What do you do with all that data?” Zok asked. He believes that some devices on the market are too focused on the technology itself, rather than the user — they emphasize hard numbers for stats like VO2 max, cadence, and basal metabolic rate, but place less emphasis on helping the user decide what to do with that information. “Consider the human factor,” Zok told me. For Olympic athletes and coaches, stats are just part of the equation for winning gold. Their best devices should “speak the athlete’s language,” telling them when to train, when to push hard, and when to rest. The end result: for wearable technology to appeal to the world’s best athletes, it must change its vocabulary. GPS trackers and punch sensors have a definite place within Team USA, but Zok is most excited about a few unexpected industries in wearable technology: smart fabrics, artificial intelligence, and smart buildings. Zok pointed to smart fabrics as “a real evolution of wearable technology” because they would “get rid of the friction” between athletes using the technology and directly benefitting from it. The best permutation of smart fabrics would allow athletes to train in their smart clothing without having it interfere with their performance — so, an Olympic sprinter would wear a smart outfit with sensors seamlessly embedded in its fabric, follow their training regimen, and receive instant input on stats like their speed and stride. “We don’t know what we don’t know,” Zok said. As technology and the Internet of Things continue to evolve, artificial intelligence (AI) would be able to develop training programs and solutions by understanding the data generated by wearable tech. One smart clothing company at WTS, Sensoria, offers an early example of AI in fitness: Mara, an AI coach, recommends plans for runners based on the data gathered by the smart garments. 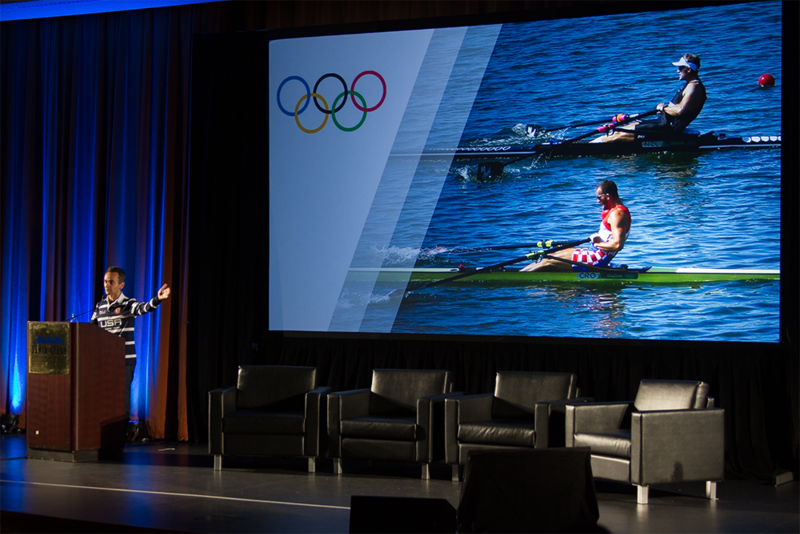 “Technology is the new secret sauce that will make or break any athlete, anywhere in the world,” Zok said at WTS. 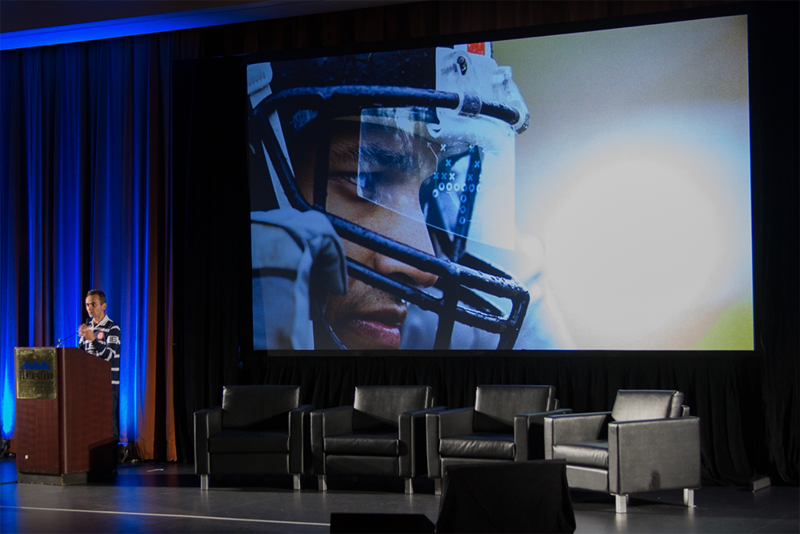 Wearables provide a next-level vision for future athletes. But for Team USA, it’s just another step toward that 1% competitive edge.